We were so happy with our wedding pictures, all of our friends love them. Everything from the ceremony to the flowers and chairs were perfect. We could not be more pleased with how our wedding turned out. We would like to take this opportunity to thank you Say Yes in Myrtle Beach for the gracious and professional services we received at our daughter's wedding. They were on a tight budget and we could have asked for anything more! The weekend and festivities were wonderful in Myrtle Beach. Guests of the wedding still compliment us on such a beautiful beach wedding it was. We would really thank you again for all their knowledge and help in making Sarah's wedding day a reflection of blissful and cherished memories. Thank you so much for helping make our wedding day so perfect. Your calmness set the tone and made us feel relaxed and comfortable. We’ll tell our un-married friends about you! 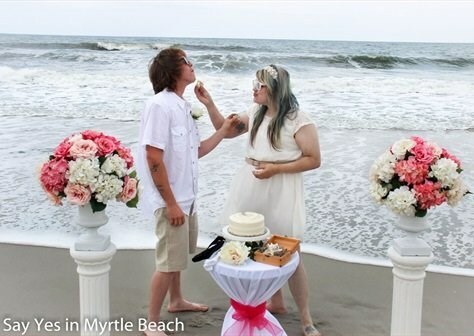 My wife and I had our wedding ceremony done in Myrtle beach, and it turned out wonderful! Say Yes in Myrtle Beach took care of everything and was able to provide us with a beautiful unforgettable ceremony. I have already recommended them to a few friends and family. Thanks again!!! 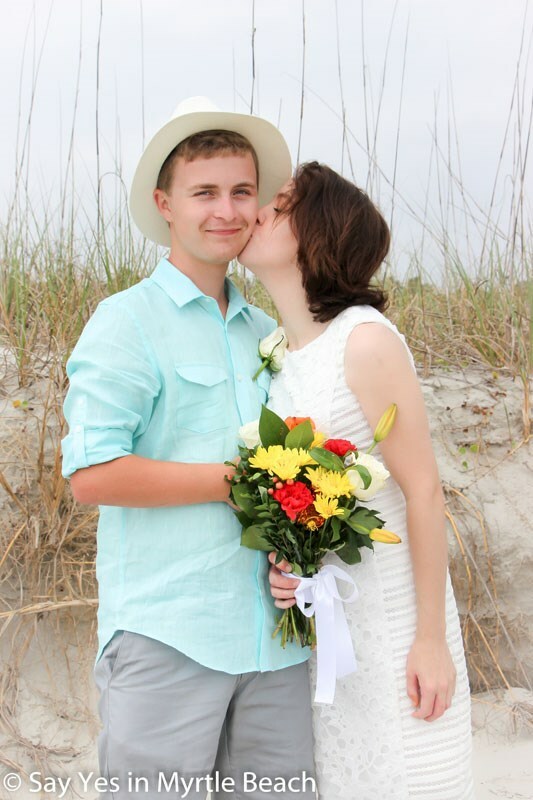 Our wedding recently put together by Say Yes in Myrtle Beach and had such a wonderful experience! It felt so special and the beach ceremony was so intimate and sweet. It was exactly what we happy newlyweds wanted... 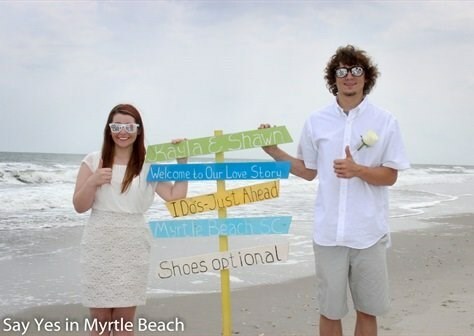 I highly recommend Say Yes in Myrtle Beach for that perfect beach wedding with an intimate and personalized touch!